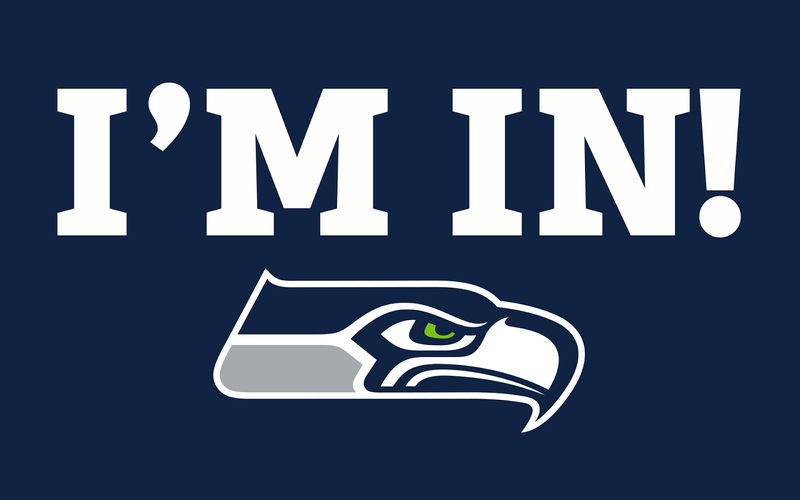 All the chatter online seems to indicate you had to be a Seahawks fan to enjoy last night's Superbowl. As a Pacific Northwesterner, enjoy it I did. There aren't a lot of sporting events in which Oregonians saddle up to Washingtonians and cheer. But football is one of them. If only for lack of an NFL team in Oregon. Seattle's win last night was a long time coming. I remember being the only Seahawks fan in a sea of Steelers back when I lived on the East Coast in 2006. I watched the game on a tiny screen in my roommate's bedroom. And after all the talk and build up to a Bronco win over the last week, even as a passing Seahawks fan, I went into yesterday's game braced for a loss, as was the case with many long-time Hawks devotees. I got to watch this year's Superbowl with some 3rd generation Seattle fans. The game may have bored half of America. But in my neighbor's living room, in front of three screens all set to the same channel, there was jumping and shouting and smiles and laughter the whole game through. There was also food. Lots and lots of good food. I told Jason he better be careful or Remington may grow up a Seahawks fan. I told her when we were getting ready for the game 'we root for the Seahawks and Peyton Manning, always Peyton." Jason is a devoted Chargers fan. His basketball allegiance shifted when he moved to the Pac NW, but he's holding tight to Dodgers and Chargers.